A delicious smile-inducing pink lemonade and lychee that truly gets your taste buds dancing. 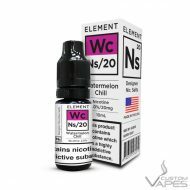 They come in packs of three 2ml pods available in 10mg and 20mg Salt Nic. 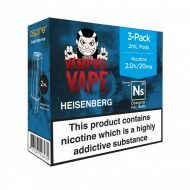 Often referred to as the “king of all-day vapes”, Vampire Vape’s Heisenberg is one of the UK’s most iconic flavour profiles – and now it’s available as a nic salt pod for the Aspire Gusto Mini. Made to a top-secret recipe, Heisenberg delivers a rush of mixed berries, aniseed and menthol that you won’t want to put down. 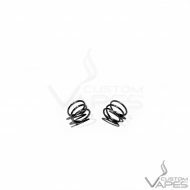 Heisenberg Aspire Gusto Mini pods are made with nicotine salts, giving you a quick, intense nicotine hit that recreates the experience of smoking a traditional cigarette. 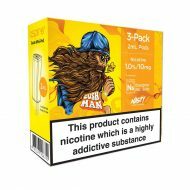 Nasty Juice Cush Man is one of the most popular tropical juices on the market, and is now available as a nicotine salt pod for the Aspire Gusto Mini. Cush Man Gusto Mini pods are full of juicy, vibrant mango flavour, with a touch of mint making this flavour something really special. 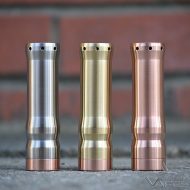 Nasty Juice’s famous Slow Blow is now available as a nicotine salt pod for the Aspire Gusto Mini. One of the most popular mixed fruit vapes going, Slow Blow blends pineapple, lime and soda notes with a hint of mint for an all-day vape like no other. 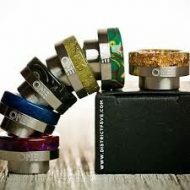 Slow Blow Gusto Mini pods are a must-try for citrus e-liquid lovers. Dr Frost Honeydew Melon is now available as a nic salt pod for the Aspire Gusto Mini. Honeydew Melon Gusto Mini pods are packed with juicy honeydew melon flavour blended with sweet blackcurrant and a touch of ice for a frosted fruit sensation. 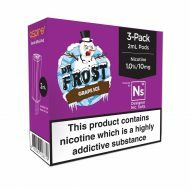 Dr Frost Grape Ice is one of the top grape vapes on the market, Dr Frost Grape Ice is now available as a nic salt pod for the Aspire Gusto Mini Grape Ice Gusto Mini pods deliver exactly what they promise: a rich and juicy purple grape taste on the inhale, followed up by a frosty menthol exhale that’ll take your breath away. 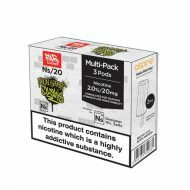 They come in packs of three 2ml pods available as 10mg or 20mg Nic Salt. 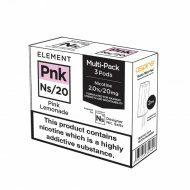 Element’s Pink Lemonade, is a sweet and refreshing lemonade flavour with a subtle tang. It’s like summer in a bottle! 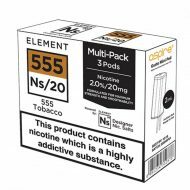 With the NS Series, Element’s e-liquid refill pods deliver an especially potent nicotine hit and are designed for use with the Aspire Gusto Mini Kit They come in packs of three 2ml pods available as 10mg or 20mg Nic Salt. One of a kind mouthwatering and invigorating bright neon lime blend. Cool down and chill out with our thirst-quenching sumptuous combination of intense neon green lime over endless slush ice. This zesty lime is sweetened to perfection making it the ideal taste bud tamer. 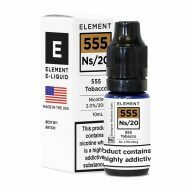 With the NS Series, Element’s e-liquid refill pods deliver an especially potent nicotine hit and are designed for use with the Aspire Gusto Mini Kit. 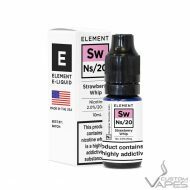 They come in packs of three 2ml pods available in 10mg or 20mg Salt Nic. NS20 Fresh Squeeze by Element features a strong Florida Orange flavour. 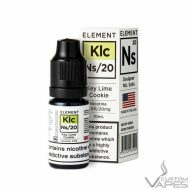 NS20 Key Lime Cookie by Element features a flavour blend featuring Limes and Cookies Biscuits. 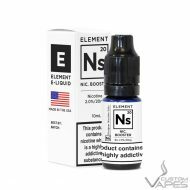 NS20 Nicotine Shot eLiquid by Element is a Nicotine Booster Shot with Nicotine Salts. NS20mg nicotine booster added to a 50ml Short Fill of 0mg will make a 60ml eliquid a 3.3mg base. 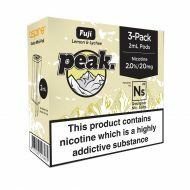 Salt Nicotine eLiquid Refills use the natural salt found within the tobacco leaf as their basis for nicotine. 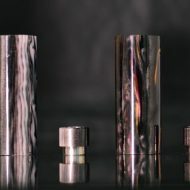 Nicotine Salt eLiquids aim to provide a more potent smooth nicotine hit than most eLiquids can currently provide. 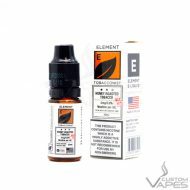 Honey Roast Tobacco by Element is a palatable mix of earthy Tobacco with sweet and nutty undertones of Caramel and Nuts bringing a nice balance to this flavour mix.